"Conte is a big coach and I’m convinced he will be an excellent one at Chelsea." Gianluigi Buffon has spoken to the media of Antonio Conte and believes that he will be an "excellent" coach at Chelsea after Euro 2016. He has also spoken of his methods and the way he interacts with his players. We are all looking forward to the new season and to Conte's arrival after the nightmare that we all had to witness last year. In what will be the most difficult Premier League season ever with the amount of money coming in and some of the best managers in the world taking over top jobs, Conte will have a massive challenge ahead to put us back into the top four and hopefully beyond. “Conte is a big coach and I’m convinced he will be an excellent one at Chelsea. A Conte team is strong in defence and works constantly, day to day. 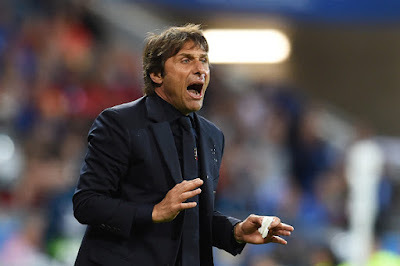 Conte is a coach with an idea that is very simple. For the players he makes it very clear. He wants to play without risk in the defensive line and to exploit the opportunities to score goals when they come. The more I think about it as the weeks pass by, I really believe that Conte IS the right man to come in as it's clear that we need a focal point and a natural leader in that dressing room. Gone are the days of relying on our big players that became the focal point throughout the spine of our side. Chelsea were in turmoil last season and you looked around and couldn't see anyone big enough to stand up and demand that things were sorted out, to get everyone back into line. I personally love that and we could have done with plenty of that last season. I really cannot wait for the start of the season and for Conte's arrival. All the things we read, quotes from players and his tactical genius against Belgium excite me once again and I can see Chelsea having a good season. What have been your first impressions of Antonio Conte?